Meet with manager Michelle Kittrell of INDUSTRY ENTERTAINMENT, a bi-coastal management and production company. 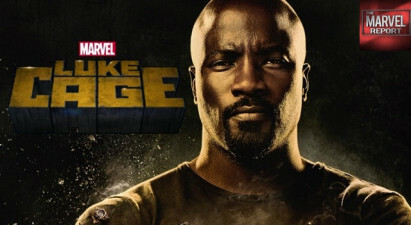 Industry Entertainment's clients can be seen in Netflix's LUKE CAGE and THE GET DOWN, The CW's SUPERGIRL and LEGENDS OF TOMORROW, LAW & ORDER: SVU, UNDERGROUND, LIFE IN PIECES, WET HOT AMERICAN SUMMER, and EPISODES! Michelle would like to see sides only. Michelle Kittrell, formally of the Gersh Agency, started up the New York office of Industry Entertainment alongside Partner Bill Butler. Clients can currently been seen on television in DIVORCE, THE PUNISHER, CALL THE MIDWIFE, POWER, LIFE IN PIECES, WET HOT AMERICAN SUMMER, EPISODES, LEGENDS OF TOMORROW, LAW & ORDER: SVU, UNDERGROUND, PURE GENIUS, HIGH MAINTENANCE, HOMELAND, and in the upcoming films ROCK THAT BODY, SNATCHED, COIN HEIST, as well as WICKED and BABYLON LINE on Broadway. Presently open to considering new clients to current client roster. Industry Entertainment is broadening its capabilities in the fast-growing arenas of entertainment management and content development. Industry manages both in the legit and literary areas as well as producing television and films. After attending the LA Trip, Paul Trusik of TRUSIK TALENT MANAGEMENT called Kate in for a meeting! Jerry Silverhardt of SILVERHARDT ENTERTAINMENT met with Marina after meeting her on the LA Trip! After attending the LA Trip, Peter Novick of ABRAMS ARTISTS AGENCY reached out to Marina for a meeting! After taking class with David Bellantoni of Beth Melsky Casting, Natasha was called in for a University of Phoenix commercial! After taking class with David Bellantoni of Beth Melsky Casting, Johanny was called in for a University of Phoenix commercial! After taking class with David Bellantoni of Beth Melsky Casting, Alli was called in for a FedEx commercial and got a callback! After meeting with Vincent Palumbo at One On One, Katie was called in and signed to his roster at VGP Artist Management! After taking a class with CJ Molidor of Tucker/Meyerson, Amanda was brought in to audition for a co-star role in a MAJOR DRAMA SERIES! After meeting Kim Miscia at One on One, Jacob was called me in for 2 co-stars! After meeting Kim Miscia at One on One, Jacob was called me in for a guest star and producers session for BLUE BLOODS!